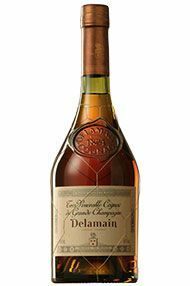 Delamain is one of the oldest and last family-owned and run houses in Cognac. It was established in 1759 by James Delamain, and is still run by direct family descendents, Charles Braastad-Delamain and his cousin, Patrick Peyrelongue. The house of Delamain is strongly attached to its tradition of craftsmanship. It specialises in ageing and maturing high quality Cognacs exclusively from the Grande Champagne region. 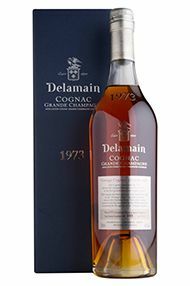 The Cognacs are meticulously selected from individual producers, many of whom have traded with the Delamain House for generations. Immense care is taken to maintain the quality of the Cognacs through the ageing process, and the Cognacs are left to mature in cask until each reaches perfection. They are then blended and married to create a product that expresses the Delamain style. 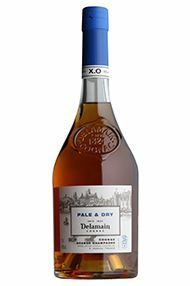 Delamain has a range of unique products: Pale & Dry X.O, a blend of Cognacs of 25 years, that showcases the Delamain style. Vesper, with 35 years ageing, is a darker, more pronounced style than Pale & Dry X.O. Très Vénérables, a blend of very old Cognacs (55 years) from the Grande Champagne region. Single Vintage Bottlings, selected issued from the best estates in Grande Champagne and matured in Delamain's cellars. Reserve de la Famille, an unblended, single estate, single cask Cognac - a unique find in the world of Cognacs. The pinnacle of the product range is Le Voyage, the ultimate product for the Cognac Connoisseur, with only 500 available worldwide. 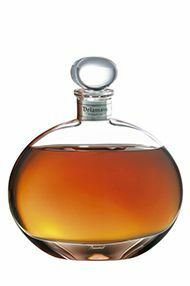 Delamain Gensac la Pallue is a selection of Cognacs from one local grower-distiller in Gensac la Pallue, situated in the heart of the Grande Champagne area. This cognac has been matured for more years than a X.O requires. It is a blend of cognacs stated "Compte 10", which is the legal age of the cognac (meaning over 10.5 years). This is the maximum ageing time followed and controlled by the Cognac Office (BNIC). 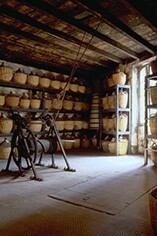 The Single Vineyard Gensac La Pallue Cognac is a very old Compte 10. This cognac was matured in a 350lt Limousin oak cask which is well-seasoned to avoid imparting too much tannins and to preserve the natural delicacy of the Grande Champagne cognac. On th enose, it offers the typical fruitiness, mellowness and delicacy of an old Grande Champagne cognac. The colour is natural brilliant clear gold. No use of artificial colour sugar or wood concentrate. On the palate, the initial bouquet of grapes and ripe fruits gives way to aromas of vanilla, nuts, almonds and grilled toast. The maturity of the fruit, the round mellowness and the remarkable length reveals the finesse and subtlety of great cognacs. Aged 25 years, Pale & Dry is a unique blend of Cognacs that showcases the Delamain style. Each of the Cognacs have been aged separately, then joined together and married for a further two years, to create a stunning and cohesive X.O. Pale & Dry is a light shade of amber with flecks of gold. The bouquet is multi-layered with powerful and intense floral aromas, backed by distinctive notes of vanilla. Its mellow roundness on the palate blossoms into a full-bodied fruitiness, with hints of liquorice and vanilla. Serve as a digestive, or as a partner to chocolate and other desserts. At an age of 35 years, it is older than the Pale & Dry X.O., and has been crafted in a different, more classic style. Deeper in colour with a more pronounced amber hue that is tinged with bright flashes of gold. The bouquet is initially oaky, but gives way to aromas of mushrooms, dry vine shoots and vanilla. On the palate, the Vesper is full-bodied with an exceptional roundness and remarkable length, with a smooth finish. This is a very full, mature, yet refined Cognac; one for the connoisseur! Serve Vesper with a variety of sweet and savoury dishes, from foie gras to cheese to your favourite chocolate dessert. Translating to very venerable, this Cognac is a blend of very old Cognacs from the Grande Champagne region. It has benefited from maximum barrel ageing of around 55 years, and expresses the nobility of a truly great eaux-de-vie when it has reached the peak of development. The bouquet is intense yet lightly floral, giving way to complex scents of underwood, raisins, vanilla, liquorice, honey, and rancio notes. On the palate, it is mellow and round as a result of long ageing. It has an extraordinarily long finish tinged with liquorice and dried fruits, with all of the complexity of a truly great Cognac. This is a unique Cognac in that this used to be the Cognac of choice that the Delamain family reserved for themselves, and for their guests. It is an unblended, single estate, single cask Cognac	a unique find in the world of Cognacs. This Cognac has benefitted from maximum barrel ageing, and with natural reduction which has dropped to 43% alcohol. From one cask to another, the Cognac changes, but is always a Cognac of unmatched purity. In general, the bouquet is powerful and long with floral notes, a rarity in older Cognacs. The palate is round and reveals rich fruit. 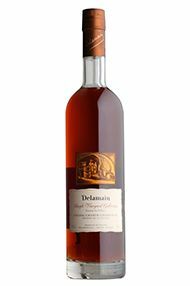 Delamain has dedicated one of its best cellars to the exclusive creation of its Vintage Cognacs. 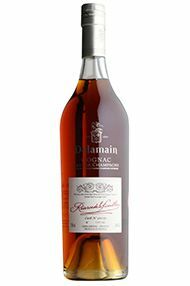 Year after year, Delamain selects young Cognacs issued from the best estates in Grande Champagne to be matured in the Vintage cellar, and 1973 is no exception. The 1973 is available in very limited quantity, and pleases connoisseurs who seek the unique flavour and profile of a vintage Cognac from a specific year and barrel.